STICK MAN is rated 4.9 out of 5 by 19. Rated 5 out of 5 by citymum from Brilliant show! I took my four year old daughter to the show and it was absolutely super. Fantastic performance and really engaging for all ages! 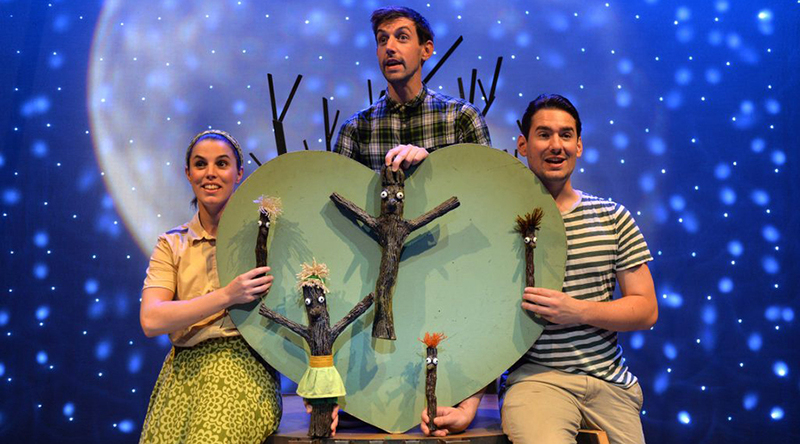 One of the best shows for young children in London! Rated 5 out of 5 by Cell from My little one totally loves it This show goes down very well with my 5 year old, he enjoys all parts of the show, from the interactive sessions to the floss dance! Highly recommended. Rated 4 out of 5 by W13 Mum from Fast moving take for little ones My little boy who’s just short of four really enjoyed this show, his first bit of theatre. The show moved along at a good pace, and there was a panto feel to it. The chap playing the instruments was phenomenal! There were a fair few jokes thrown in for adults too. Rated 5 out of 5 by Daydreamer86 from Best Show I really enjoyed this show and laugh a lot with my little one. I would definitely recommend! Rated 5 out of 5 by natalieelisa from absolute gem from start to finish This was absolutely brilliant and the actors and actress where fantastic, charismatic and did the story of stick man proud.